Pin of the Week – 14: It’s Avengers Time! Ooh, I fell off the pinning bandwagon for a couple of weeks there. Not that I stopped pinning – I just didn’t make it over to WordPress to share my favourites of the week with you. Whilst I was off ‘being busy’ I did manage to see the fantastic new Avengers film – Age of Ultron – and as a Marvel comic, Buffy loving, superhero fan, the films don’t come much better than this! So, what better to share from my pin board this week than TWO of my favourite Avengers-themed pins (*whispers* because there are just so many of them). So, which do you think is best? 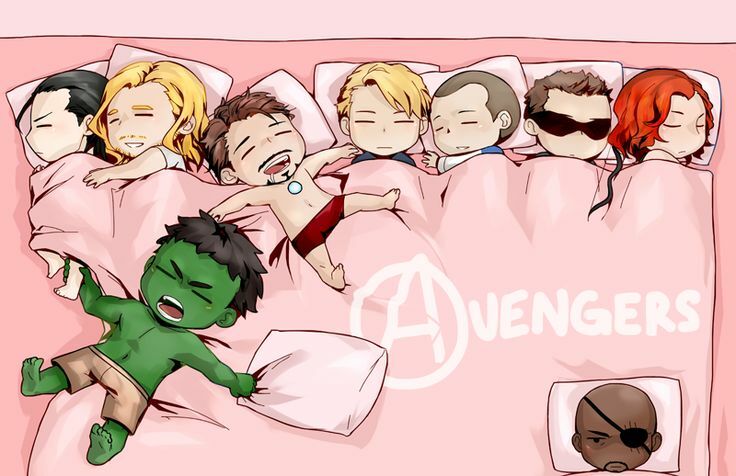 Dancing Avengers or cutie cartoon ones… I have to admit, I can’t decide, which is why I shared both. In the image, I love it that Thor is cuddling Loki, whilst Hulk has him by the ankle (“Puny god” 🙂 he he he). And Tony and Hawkeye are spot-on too. This entry was posted in Pins and tagged age of ultron, avengers, fun with the avengers, pin of the week, the avengers on April 30, 2015 by mel. I should have asked, can you guess the song they’re dancing to from the routine?